Montreal, October 22, 2015 – Sophie Palmer, CFA, President of the Board of Directors of CFA Society Montréal, is proud to announce CFA Society Montreal has been recognized by CFA Institute, the global association of investment professionals that sets the standard for professional excellence, as the 2015 recipient of the Collaboration Award. The Collaboration Award recognizes societies who demonstrated exceptional achievements based on successfully collaborating with two or more societies or another organization to deliver member value. Adding to CFA Society Montréal’s pride, Jacques Lussier, M.Sc., Ph.D., CFA, CEO/CIO at IPSOL Capital Inc., former president of CFA Society Montréal (2013-2015), received the Volunteer of the Year Award for his exceptional involvement in the financial community. A man of conviction, Jacques Lussier took great care during his tenure to promote the values of exemplary practices and excellence associated with his role, and he helped to significantly reinforce the reputation of CFA charterholders and the society that brings them together. The CFA Institute Society Excellence Awards Program was established in 2006 in order to identify and reward efforts of individual societies or societies in partnership with one another in their operations and the delivery of value to the investment professionals they represent. This year, there were 96 entries submitted globally in various categories, representing 41 societies. The CFA Society Montreal is a non-profit association founded in 1950. 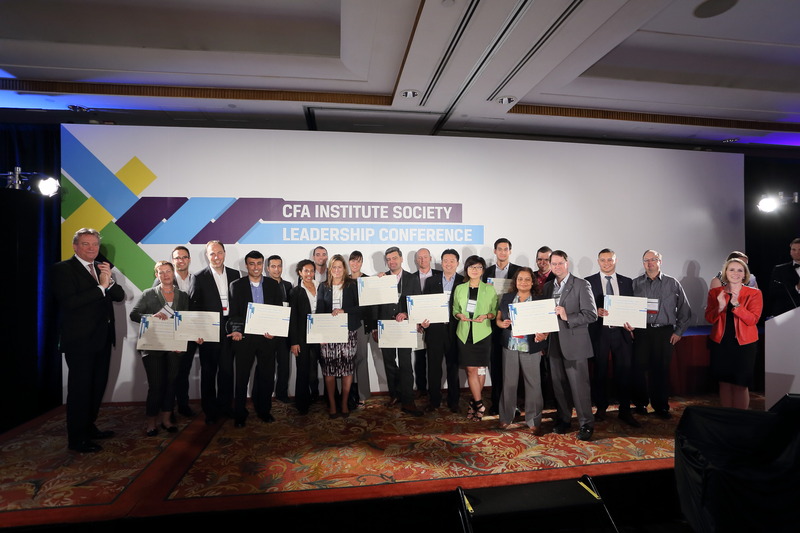 In supporting the CFA Institute’s mission, it strives to be of greatest benefit to the general public by locally promoting the highest standards of ethics, education and professional excellence in the field of finance. The society also supports its members’ career development by organizing activities enabling them to stay at the leading edge of professional expertise and by promoting the CFA designation. CFA Society Montreal also strives to increase awareness regarding both investment career opportunities and the CFA program to other organizations, university students, and the public at large. CFA Society Montréal counts over 2,375 members. For more information, visit www.cfamontreal.org. CFA Institute is the global association of investment professionals that sets the standard for professional excellence and credentials. The organization is a champion for ethical behavior in investment markets and a respected source of knowledge in the global financial community. The end goal: to create an environment where investors’ interests come first, markets function at their best, and economies grow. CFA Institute has more than 139,000 members in 148 countries, regions, and territories, including 132,400 CFA charterholders, and 146 member societies. For more information, visit www.cfainstitute.org.